It has been ages since I posted. Ages. A lot has happened in the past year. 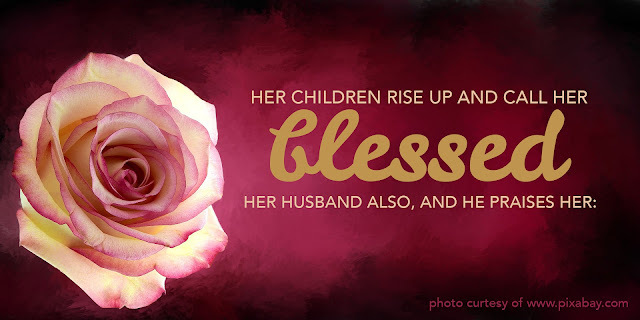 This post is partially in honor of mother's day and part follow-up to a set I wrote back in August and September of 2012. (The Stroke Part 1, The Stroke Part 2, The Stroke Part 3). At the risk of airing a great deal of dirty laundry, I'd like to fill the gaps between the time I last wrote and where our family is at now. The "New normal" has taken some adjustment. My mother's sudden transformation from holding everyone together to needing constant care and support left us reeling. A chiropractic mistake caused her triple stroke and a medical misdiagnosis allowed her to walk out of the hospital without proper, timely treatment. When she finally received care (all too late), doctors were hesitant to truly investigate the root causes of her emotional problems. She was physically fine, though inside she was a mess of emotions. When people asked, "How is everything going?" we had no solid answer. After all, she could walk, talk, and interact somewhat normally, so there was a natural assumption that everything was fine. Three holes in your brain are not a small problem, yet because these areas affected her feelings more than her bodily strength, almost no one believed there was anything wrong. People began to pass judgement. A woman who couldn't homeschool with conventional methods, keep her house or work must be a neurotic or a hypochondriac, manipulating her family. Many people who we thought were friends began to drop away. We gritted our teeth and muscled on. After all, my mom had been recovering for quite some time and things would go back to normal, right? But the long-awaited restoration didn't come, and we were beginning to get used to the way things were. She began to homeschool the girls again, shortly after she came back from the hospital but in the following years, she had to come up with creative ways to get around her mental boundaries. In the summer of 2015, things appeared to improve. She began to exercise frequently, eat healthily and engage in some of the activities she had once enjoyed. We kept a faint hope that our "old mother" had returned, though only for a short time. After a few brief months of reprieve, she began to sink back into a state of severe anxiety and exhaustion. My father wasn't satisfied with the lack of answers doctors were giving. He began to pursue more specialised help along with dedicated personal research. Without his push, my mother would never have been diagnosed with sleep apnea or post-traumatic stress disorder and we would never have been investigating the possibility of pseudobulbar affect. All complications of traumatic brain injury. We live in a fallen world. Our bodies are not perfect. In fact, our bodies limit what we can do physically and mentally, but we are not defined by those limitations. As a Christian, I believe that people are more than their physical body and our souls will one day be freed from our fallen vessels. You are not defined by your physical problems and you can thrive in spite of them. She has developed solutions to work around her new challenges at every step. 2. God is our refuge. Four years now, my mother has wept nearly every single morning, and yet never have I seen her without a Bible in her hands or scripture reading playing in the background. She is constantly meditating on the Word of God, living out her belief in the sufficiency and power of scripture. Life's hiccups have not destroyed her faith in God. 3. Receive hurt with grace. Since her stroke, my mother becomes quickly overwhelmed and overstimulated. Friends have mistaken this for withdrawal, distancing themselves and beginning to spread rumors. Well-meaning family members have even tried to "intervene" in what they thought was a dysfunctional situation. Never once have I heard her speak bitterly about those who have hurt her. I have seen more sacrificial love on the part of my father and younger sisters than I ever thought possible. Before her stroke, my mother trained us to be homemakers; cleaning and cooking as practice for the day we would have homes of our own. After her illness, they seamlessly assumed the duties she had once completed. It takes a special woman to inspire such hard work and love. Writing this post with tears in my eyes, remembering all of the hard times and the strength that my mother has continued to demonstrate. Thank you, Mother, for all of your wisdom and guidance. You still make time for us, even when you are struggling. That crystal gems should fall from it. but gracious captive of the breeze. A dance from mount to hill below. A single little note, in a symphony of snow. Today is the 6th birthday of my youngest sister! With her fun, sweet, and sometimes feisty personality, Jo-jo has been a constant source of joy and delight for my whole family. Even at her young age she is very eager to learn more about Christ and has a strong desire to please him. She often gently corrects me when she sees I'm in the wrong and reminds me to do what's right. She has such a caring, tender heart and has been one of my biggest comforts and encouragements. I can't imagine what my life would be like without her. I pray that the Lord will protect her and guide her as she grows, blessing her as much as she has already blessed me. 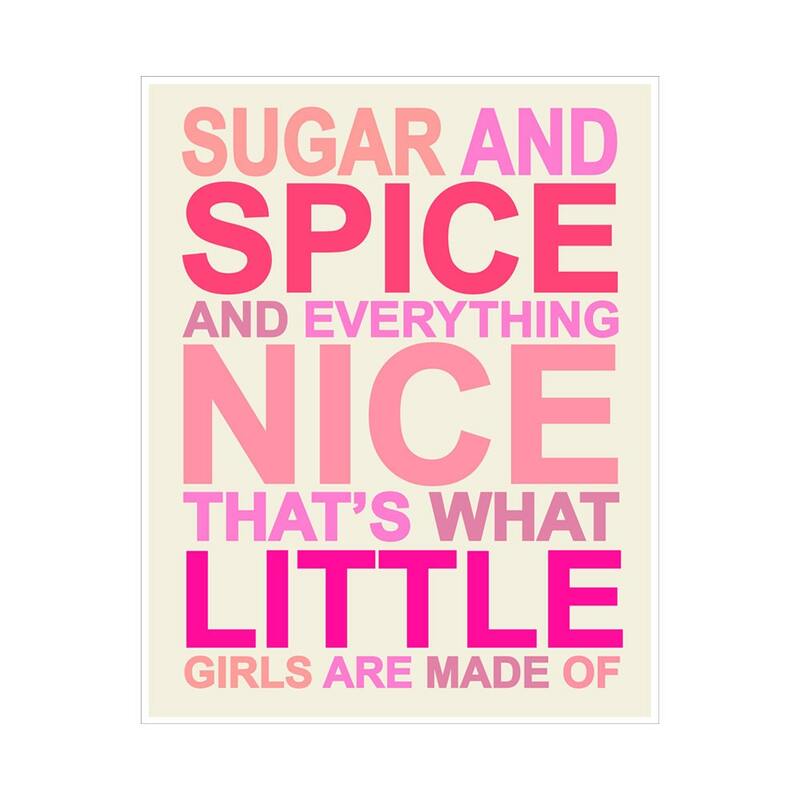 I can't wait to see the wonderful young lady I know she'll be someday! I looked over my posting and realized (to my horror) that I hadn't posted since February! I've done some paid graphic design jobs, gotten a job as a waitress, had a birthday and played nine performances with a pit orchestra at a local Christian school. 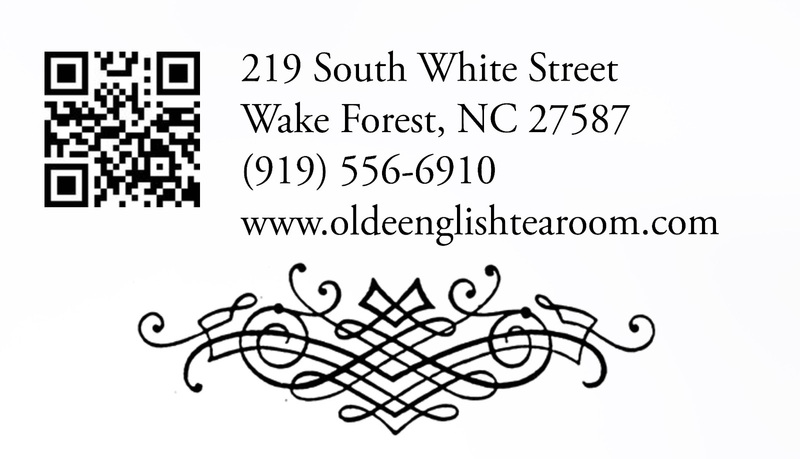 I recently did a few graphic design jobs for the Old English Tea and Gift Shoppe, located in downtown Wake Forest. From my very first visit, I fell in love with the Tea Room. 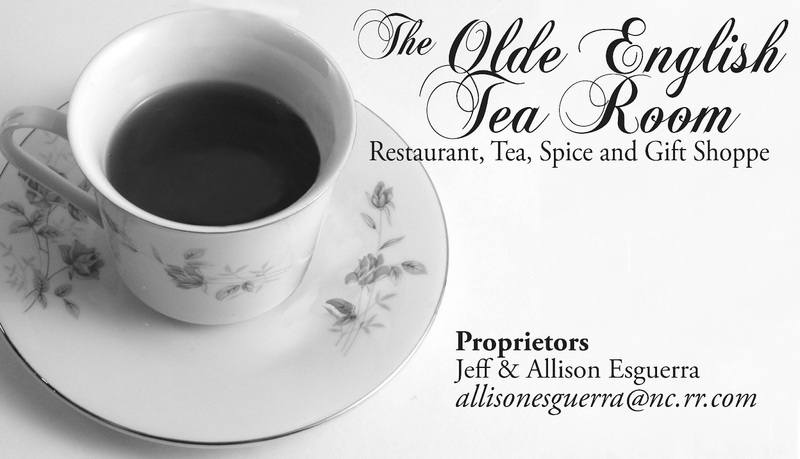 The beautiful decor, dainty little tea cup, the terrific staff, not to mention the sugar cubes. 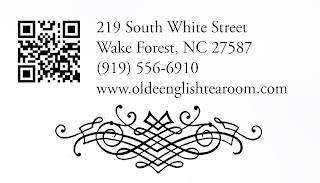 It's a quiet restaurant with a charming atmosphere, terrific teas, and great food. If you've never been there, I highly recommend it. 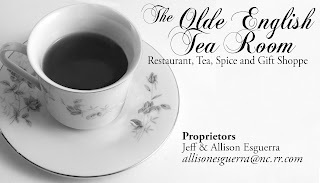 I've done a few projects for the Tea Room so far, (event brochures, a newsletter header and business cards) all of which were pretty fun to design. Both the business card and brochure were requested in black and white. There were two reasons for this: It's simple and elegant, and it's much more cost effective, especially when it comes to professional printing. If you need any help with designs or are interested in hiring me, please like my Facebook Page and post on my wall. I'm still building my portfolio so I love to help you with at least one project for free as long as I'm allowed to post it here on my blog. Please contact me if you're interested. I look forward to designing for you! 1 Though I speak with the tongues of men and of angels, and have not love, I am become as sounding brass, or a tinkling cymbal. 2 And though I have the gift of prophecy, and understand all mysteries, and all knowledge; and though I have all faith, so that I could remove mountains, and have not love, I am nothing. 3 And though I bestow all my goods to feed the poor, and though I give my body to be burned, and have not love, it profiteth me nothing. 4 Love suffereth long, and is kind; love envieth not; love vaunteth not itself, is not puffed up, 5 Doth not behave itself unseemly, seeketh not her own, is not easily provoked, thinketh no evil; 6 Rejoiceth not in iniquity, but rejoiceth in the truth; 7 Beareth all things, believeth all things, hopeth all things, endureth all things. 8 Love never faileth: but whether there be prophecies, they shall fail; whether there be tongues, they shall cease; whether there be knowledge, it shall vanish away. 9 For we know in part, and we prophesy in part. 10 But when that which is perfect is come, then that which is in part shall be done away. 11 When I was a child, I spake as a child, I understood as a child, I thought as a child: but when I became a man, I put away childish things. 12 For now we see through a glass, darkly; but then face to face: now I know in part; but then shall I know even as also I am known. 13 And now abideth faith, hope, love, these three; but the greatest of these is love. Remember what love really is! Happy Valentines Day from Everlasting Imagination!